We are pleased to welcome you to our web-site! Cast aside the stresses of everyday life and simply enjoy a few days holiday in Beilstein, one of the most beautiful sites on the Moselle. Observe the numerous possibilities on offer to you when holidaying in Beilstein and consider the comfortable living conditions you will encounter here. When seeking appropriate accommodation for your holiday on the Moselle, you will be absolutely right in examining the Nahlen *** apartments! 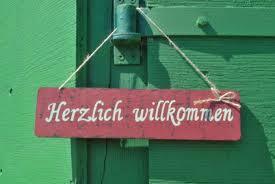 A warm welcome is extended to all our guests by Gertrud and Herbert Nahlen. Visit our beautiful Beilstein on the Moselle and be accommodated in our lovely and spacious apartments. 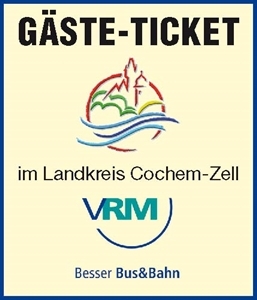 Mit dem Gäste-Ticket können Sie während Ihres Aufenthaltes bei uns alle Busse und Züge des öffentlichen Personen-Nahverkehrs (ÖPNV) im Landkreis Cochem-Zell kostenfrei nutzen.